The role of beliefs in learning languages is largely ignored in most language learning books, courses and classes, and by those who attempt to learn one by themselves. There are many factors at work in becoming a successful language learner, apart from beliefs, however, to ignore it you do so at your own peril. If you somehow believe that you are not a good language learner, it is going to be very difficult to learn a language to the level you want even if you have a goal written down and are passionate about it. This is because underneath it all you have no faith in your ability to do that. So there will be a little voice in your head, or a feeling deep down in your gut that you can’t really do this. In fact you will be sabotaging your own efforts. Our beliefs (conscious or otherwise) determine the results we get. Just think about this…if somehow deep down, you believe that you can never do this, do you really believe you will be able to? As Henry Ford once said, “Whether you believe you can, or whether you believe you can’t, you are right!”. So that is why it is important to look at your own beliefs and if need be, to be prepared to turn them around. 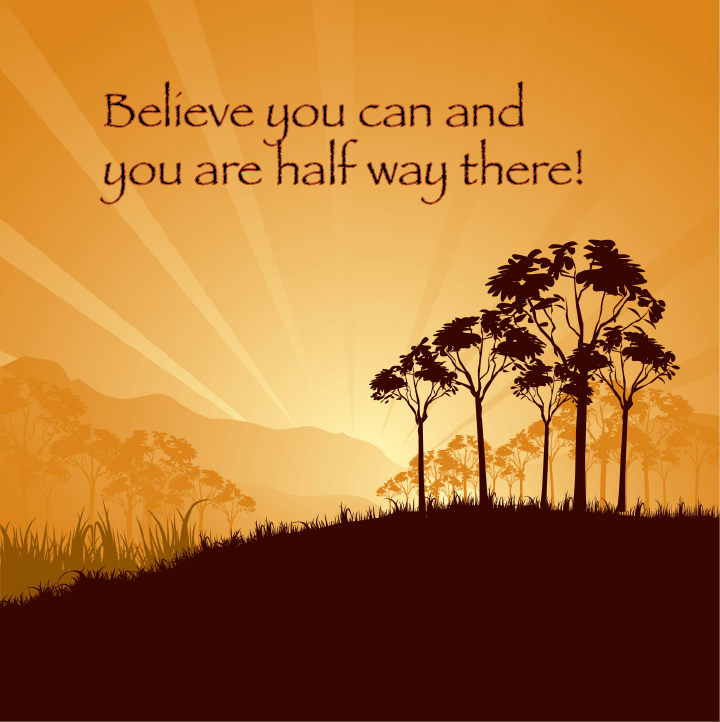 Of course, such a turn around is not so straightforward as saying I now have changed my beliefs and now I believe that “I can…” Believing is not the same as thinking you can. Believing is doing so with your heart, not just your thoughts. So when the going gets tough, as it always will, when you are striving to achieve some goal, you will not give up or settle for a poor pronunciation or a not so adequate means of saying what you want to, etc but rather you will determinedly, persistently, intelligently and tenaciously keep going until you get there, or find that pronunciation or turn of phrase that you will be happy with. Maybe by now, you are wondering how you can change your beliefs. Developing your understanding and awareness of yourself through becoming a little more reflective about your experiences is where it starts. It can start with having an experience that completely changes your perspective, or coming to an understanding that will change your perspective. Our language learning beliefs are an integral part of our success in learning languages. If you are still not sure of their importance, start to listen to the language that successful people use compared to the ones who struggle. Alternatively, start to read about the lives of people who became successful. Invariably the belief came first. I have yet to read about a successful person who became successful (and stayed that way!) who did not have a firm belief about where they were going (something to be discussed in another post, the role of goals) and their own ability to achieve success. Language learning is exactly the same. I have yet to meet or see a language learner become successful who doubted their abilities. In fact, I find it extraordinary that I have met so many “talented” language learners who have what it takes to get to the top. Yet, they doubt their abilities so they struggle and struggle to move ahead. Clearly, though there is more needed than just having the beliefs. Our language learning beliefs are only one part of the equation. But what I am saying here is that if you do everything else but you don’t have the belief in yourself and in what you can do, your chances of reaching your goals are dramatically reduced.